MOTT HAVEN, Bronx (WABC) -- Police looking for man who they said groped a teenager in the Bronx this week. 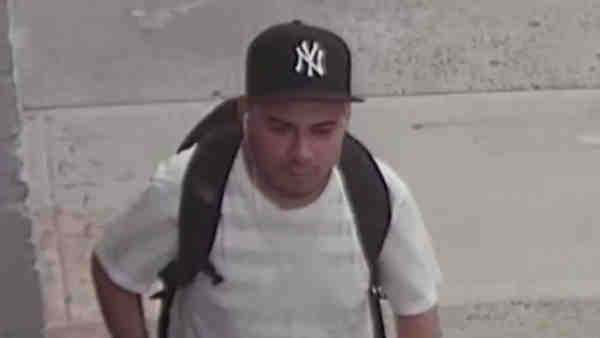 According to the New York City Police Department, around 9 a.m. Tuesday, near Gerard Avenue and East 144 Street, the suspect touched a 16-year-old girl's buttocks as she passed him on the street. The victim told police the suspect had one of his hands underneath his shirt and was touching himself at the time. He fled north on Gerard Avenue. The suspect is described as Hispanic, 20 to 25 years old, 5 feet 1 inch to 5 feet 3 inches, 160 pounds, and was last seen wearing a gray hooded sweater and gray sweatpants.